This piece was inspired by the illustration you see in this post. We were inspired at how well the illustration captured the difficulties in so many relationships. One of those difficulties is that sometimes we try so intensely to convince another person of who we are, who they should be, or how they should behave, that we get into their face. When we stop letting another person be themselves and we get in their face, things can quickly turn upside down and become topsy-turvy in a relationship. We don’t advocate full individualism in a relationship (the false idea of unadulterated authenticity I-just-gotta-be-me thinking is a mask for narcissism) and we also don’t advocate becoming a doormat and putting up with abuse. In addiction parlance, when this issue goes full tilt into bickering, insults, and fighting, it’s called codependency. 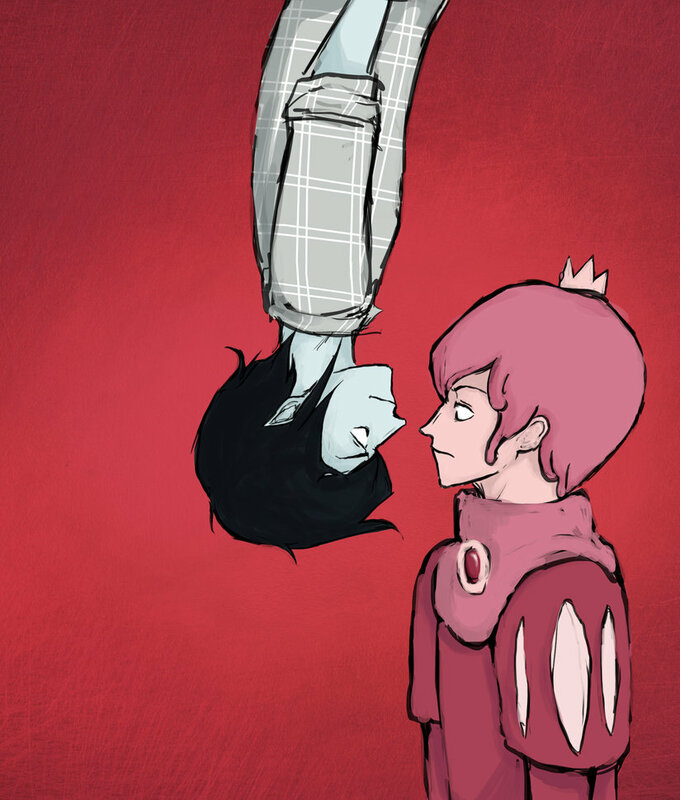 Though not the drawing’s original intent, the illustrator does convey the nuance of how dealing with a codependent relationship eventually leaves two people feeling as if they are standing in two entirely different places; not sharing common ground…upside down. If you find that you are struggling with someone controlling you, or you are trying to control your relationship, then it may be worthwhile for you to look into the issue of codependency. Our two favorite books for this issue are Codependent No More: How to Stop Controlling Others and Caring for Yourself and Facing Love Addiction: Giving Yourself the Power to Change the Way you Love. Tags: addiction, Codependency, Relationships. Bookmark the permalink.